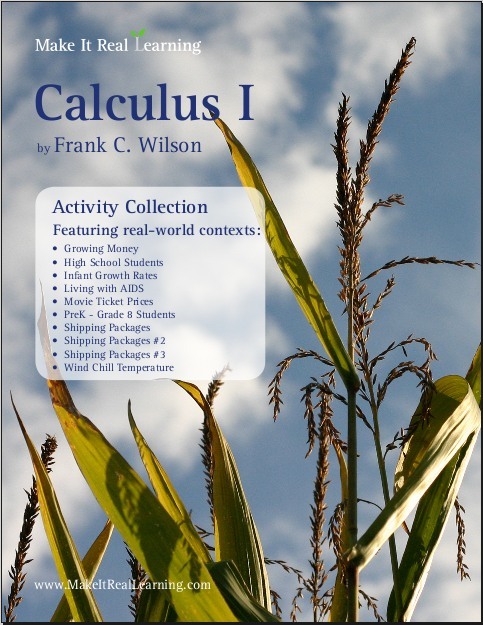 The Make It Real Learning Calculus I workbook focuses on real-world situations that may be effectively analyzed using derivatives and other rates of change. 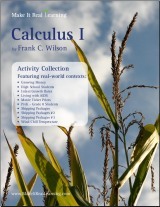 This book suits best high school or first-year college calculus courses. From analyzing the growth of an infant to maximizing the volume of a package, learners get to use mathematics in meaningful ways. Each activity integrates real world information, companies, and issues (e.g. US Postal Service, AIDS, movie ticket prices, rates of change in then number of high school students), not just "realistic" data.